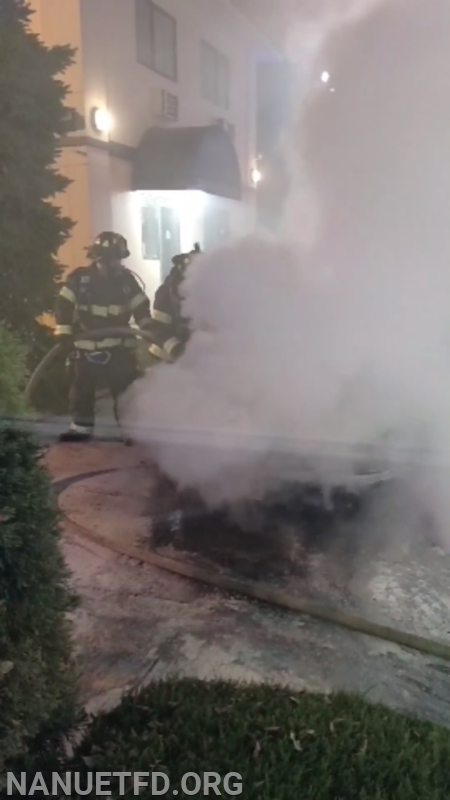 At approximately 8:37 PM on 10/19/18 Nanuet FD responded to a report of a vehicle fire in the parking lot of the Days Inn Hotel. 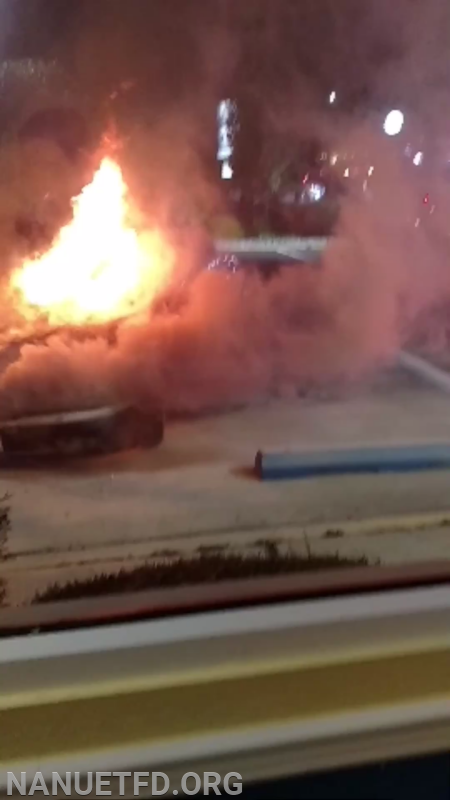 Upon arriving on scene Chief Bill Schoenleber (8-1) confirmed a working car fire at that location. Incoming crew from 8-EQ led by Captain David Jacobson (8-4) and Assistant Chauffeur Jordan Parker (8-9) made quick work of the blaze extinguishing it in minutes with 8-EQ’s inch & 3/4 front trash line. 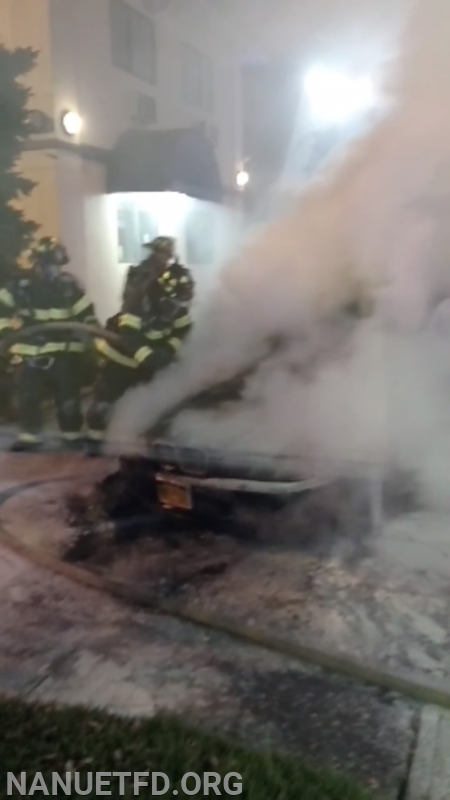 Lastly the crew from 8-75 led by Lieutenant Joe Pacella (8-5) used a portable hurst tool (jaws of life) to pry open the charred vehicles hood so the engine compartment could be inspected for further fire. All units were back in quarters within the hour.